As a rapidly growing centre of industry and innovation in the eastern Greater Toronto Area, throughout the 1980s and early 1990s leaders in Durham Region cherished the dream of establishing its own university. At the time, the number of residents in Durham Region was projected to approach nearly one million by 2021. For more than a decade, prominent figures in the community developed a vision for a student-focused institution dedicated to great teaching, groundbreaking research, and the use of leading-edge learning technology. The dream was to build a university that would offer programs to prepare students for critically needed, knowledge-intensive careers. This university would ensure bright futures for its graduates and generate economic growth for Durham Region, Northumberland County and the entire province. 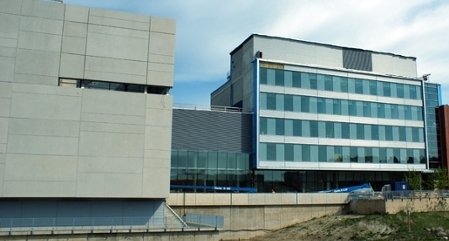 In one of the earliest efforts in Ontario to combine university and college studies in one location, the Durham University Centre was created in 1996 at the same location the university today shares in north Oshawa with Durham College. Although the university courses offered at the centre were taught by professors from both Trent University and York University, the community never abandoned its desire for a made-in-Durham university. May 9, 2001 was an historic day for Durham Region and Northumberland County. The Government of Ontario announced plans for the first brand new university in the province in 40 years, earmarking $60 million in startup funds through Ontario SuperBuild Corporation. An operations centre was immediately established next to the Durham College President's office where 11 teams, working seven days a week, produced a to-do list of 856 tasks and hundreds of sub-tasks. Team members toured top institutions across North America to study best practices. 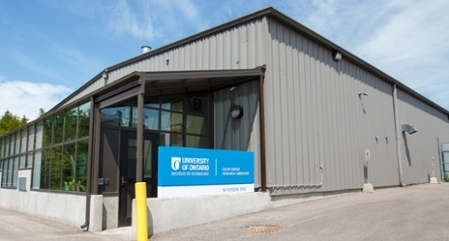 The university officially came into being on June 27, 2002, with the legislature's passage of Bill 109, Schedule O, the University of Ontario Institute of Technology Act, 2002. Administrators had 14 months to prepare for opening day in September 2003. The university would become Ontario’s first university to use the latest technology to deliver its curriculum, giving students a competitive edge in tomorrow's workplace. 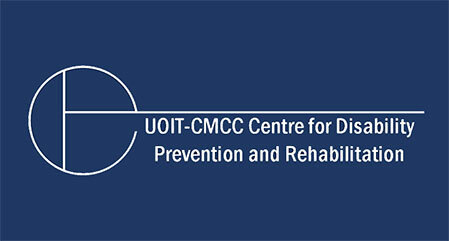 The university met that challenge welcomed its first class of 947 students on September 4, 2003, ushering in a new era of post-secondary in Durham Region and in Ontario.